August is almost here?!?!? Yikes!! I have been super busy working on my blog and completely enjoying the month of July with Admiral Bodee and the kids. We are so lucky to both be teachers and have all the time in the world to have both lazy and busy days together. However, summer is fading fast. 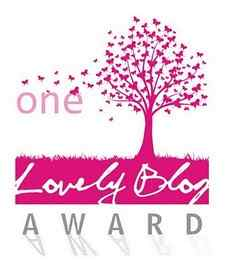 First off, I’d like to thank Gomez at Reset and Live who nominated me for the One Lovely Blog Award. With the tagline: “Inspired by everyone who has ever lived” and an invite to request topics for posting, Reset and Live is a blog everyone should check out. Step 1. Link back to the blogger who nominated me. Step 2. Post the award image. Step 3. Provide seven facts about yourself. The Book of Alice This is what I wanted to do 12 years ago, but failed to do so….keep an amazing record of hilarious, precious, and ornery things my kids said. Boomie Bol – Momma to twin two-year-olds and a moving poet and writer! The Life of an Amy – I just recently found this blog by a teacher and a mom with very down-to-earth ideas. I can’t wait to read more of her blog someday soon! Wonder the World – Another blog I just discovered. This mom writes about the wonderful things about parenthood. Random Ramblings of a Stay Home Dad – What’s this? A blog about being a dad? A refreshing and funny perspective! 1. I am a sucker for chicken barbecues. If you are selling tickets, I will buy one. Luckily, in my community every sports team, church, organization tries to raise money with a chicken barbecue. My kids associate the smell of BBQ with me, which may not be a good thing??? 2. I always plug my nose when I go under water. One of my biggest fears is drowning. I do not trust myself to not breathe in for even 15 seconds underwater. 3. In high school, I had a sugar packet collection. I took a souvenir sugar packet from everywhere I went for almost a year. I taped them in scrapbook and wrote where they were from. Weird, but sweet, right? 4. I once had to bottle feed 5 kittens for almost a month. That was like having a newborn baby x 5. When “Runt” died and I had to explain that to my kids, I knew I couldn’t lose another. Thus, the 2 a.m. feedings. 5. I have never been out of the continental United States. I’d love to go to places like Italy and Greece and even Hawaii, but I hate small, enclosed spaces without fresh air and I have motion sickness. I don’t plan on hopping on a plane for an international trip anytime ever. 6. I have only had one speeding ticket ever. I was pregnant, not feeling well, and on a country road I’ve never been on before that was not clearly marked. The cop did not care. 7. One of my administrators once asked me if I was involved in “theater” when I was in high school. I wasn’t and he was surprised. He said I seemed “dramatic.” I honestly believe this was a compliment. Such words of wisdom! This is one of the reasons I nominated you! Thanks for the laugh! Congratulations and very well deserved. I want to go to Greece too :).It’s my no 1 place to visit…you should take a short flight to like Canada or Mexico, and build on that for loner trips…the fun and excitment of seeing another country will more than make up for the cramped and tight spaced planes lol. How cruel of the cop lol, seeing a pregnant woman and still giving her a tix lol…thanks so much for the nomination I am truly honored that you would think of me, very well appreciated. Thank you for the nomination! My mom used to tell me I should be on a soap opera because i was so dramatic. BBQ chicken is one food I can rarely do because one of the last times I had the flu I had eaten it and …well…yeah you get the picture. Greece is on my bucket list of places to go someday! I’ve only been to Mexico Canada and the Caribbean so far.